It is absolutely clear that Concrete has become one of mankind’s essentials to assist in providing for our needs in housing, shelter, industry and infrastructure. It’s economy and versatility is unrivalled. Such a large amount of it is produced that although it is in fact a relatively low-carbon product, it nevertheless accounts for about 5% of the world’s CO2 emissions. Not surprisingly therefore there are huge research efforts being made across the world cement and concrete producers to reduce the carbon impact, with considerable success. The sustainability of concrete has become a major feature and focus of attention in the period since our last Awards for Outstanding Concrete Structures. It is clear that we will not significantly reduce the amount of concrete used on earth in the foreseeable future. However we can look very carefully about how we use it. Also in recent years we have seen rapid developments in the fields of fibre-reinforced concrete and high performance concretes. Whilst many structures which use traditional structural concrete do not necessarily display their concrete to the world, these newer materials are likely to lead to much more use of visual concrete and our ability to take care of aesthetics to produce high quality has significantly improved. We now know how to avoid the experiences of some older concrete structures which became un-loved for being ordinary, and in many cases have been demolished after too short a life because they proved not to be very durable. As we strive for longer lasting and more sustainable structures, it is even more imperative that we promote excellence. Our Awards seek to recognise the outstanding, whether the concrete is visible or not and it is clear that this year many of the structures featuring in the Awards make full expression of their structural use of concrete in visual ways. It is also apparent that some of the structures featured in the Awards have used analysis and design methods outside and beyond established codes and standards, requiring ingenuity and access to latest Structural Concrete research by those involved. This is a fundamental part of fib’s mission; to synthesise latest research into design and construction to facilitate innovation, and it is especially gratifying to see that mission being fulfilled. The publication of the new fib Model Code for Concrete Structures 2010 is the culmination of an enormous amount of work over about ten years and sees the inclusion of guidelines for design in several new areas, which it is hoped will encourage further innovative use of concrete in the structures of the years to come. The introduction of service life design into a model code for the first time adds to the sustainability and durability imperatives of today and provides part of the toolbox for designers to rise to these challenges in a scientific way. Long lasting and adaptable must be two key features in new structures of the 21st century to achieve long term sustainable use of structural concrete. I hope that structures being conceived today using these principles will feature in our next awards in 2018. In the meantime I invite you to take a look at this special publication celebrating some of the proud achievements of the worldwide Structural Concrete community during the past four years. 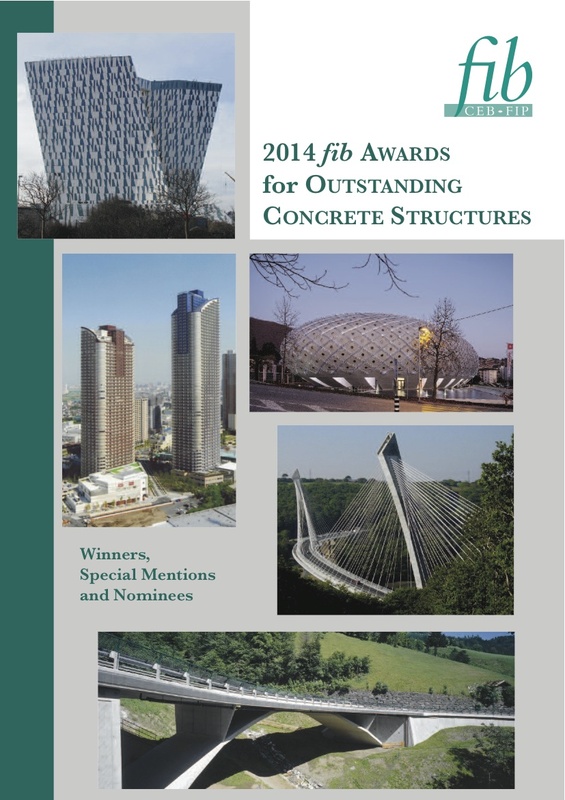 I hope you will enjoy reading about the best in new Concrete Structures as we present the Outstanding Concrete Structures Awards at fib’s fourth Congress in Mumbai in February 2014.